Join us this season at Harewood and discover our series of specialist workshops and out-of-hours tours. 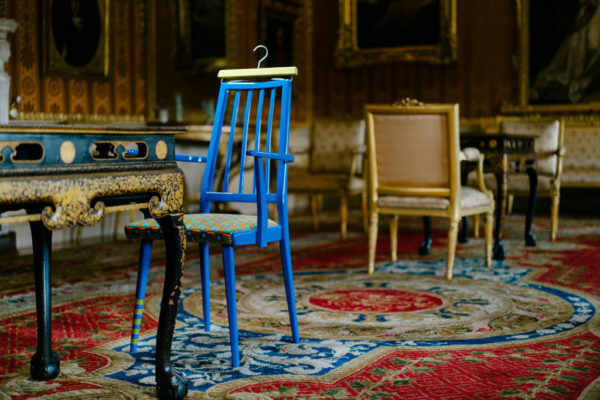 Meet artists from the exhibition, learn a new skill and see Harewood in a whole new light. These special twilight tours include a welcome drink on arrival, before you are taken on an after-hours tour with our expert guides. Andy Singleton, paper artist, will explore the potential of paper cutting, folding and construction techniques to create your own unique sculptural forms. Join Maria Sigma for an in-depth workshop that will teach you all the basics of weaving and how to turn your household waste textiles from old t-shirts to pillowcases into textile masterpieces. Ceramicist Reiko Kaneko will introduce the fascinating process of making fine bone china, with an opportunity to make your own. This workshop will give you a rare chance to work in miniature and create your own cast glass jewellery with Effie Burns, inspired by her beautiful and delicate pieces which form part of our Useful/Beautiful exhibition.